Good morning, and happy Monday!! I hope you had a great weekend? It's finally stopped raining here (it's been raining for a week). Guh! It's still grey though so I thought, why not embrace it? 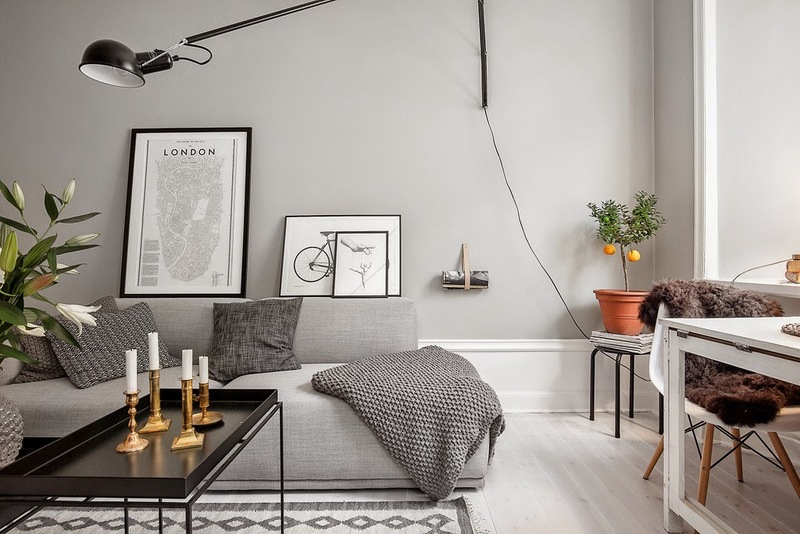 After all, there's something kind of cosy about bringing the grey interiors, don't you think? 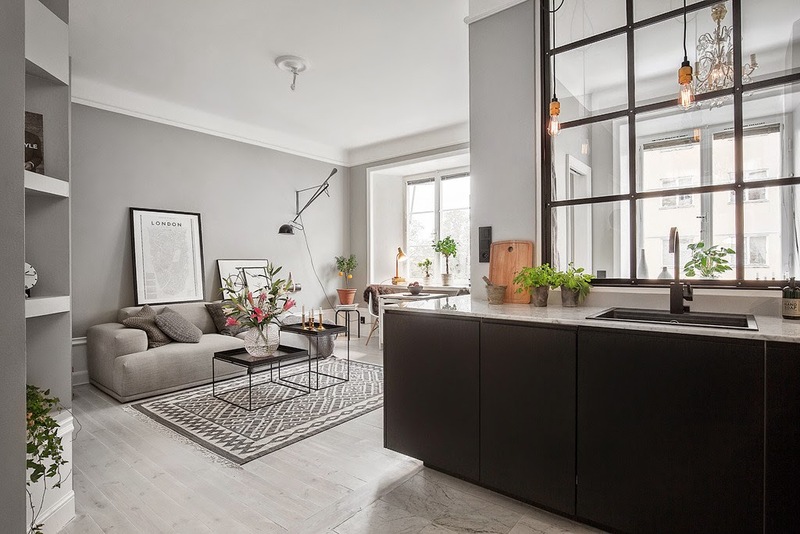 This Swedish space has been decorated using shades of grey and a touch of black and white. It's actually quite incredible as it's only 38 metres square in total. The use of the space is so impressive. I often get questions asking where the storage is in the homes I show. Not here, look at that wardrobe! 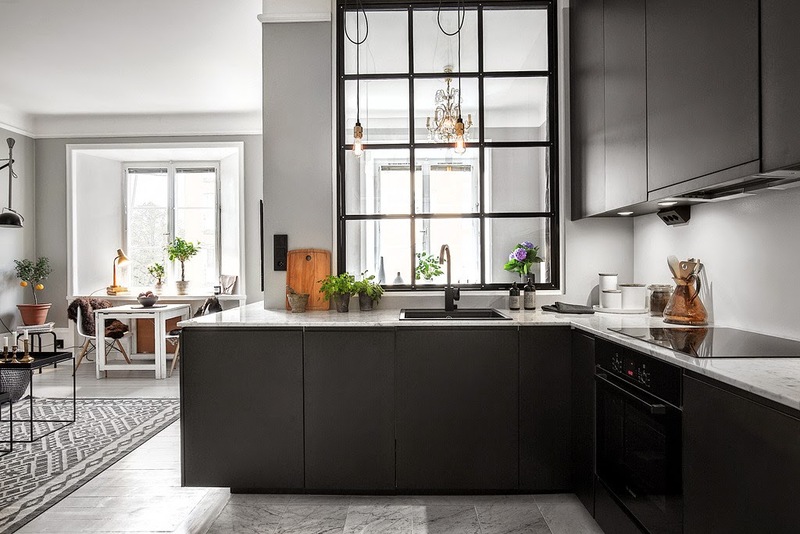 I also love the use of windows to divide up the different living areas. 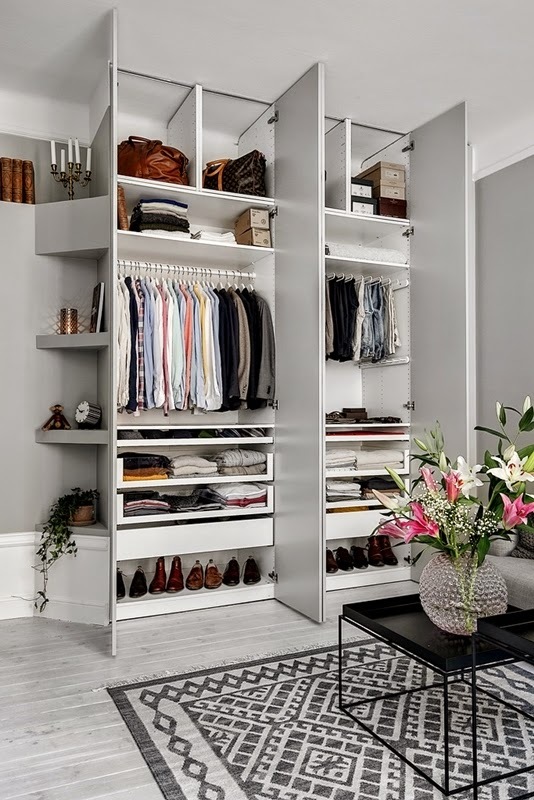 Great inspiration for anyone that's tight on space! A few items I know and love. Flos 265 wall light, HAY tray table, chunky moss knit blanket, sheepskin throw, Eames side chair. 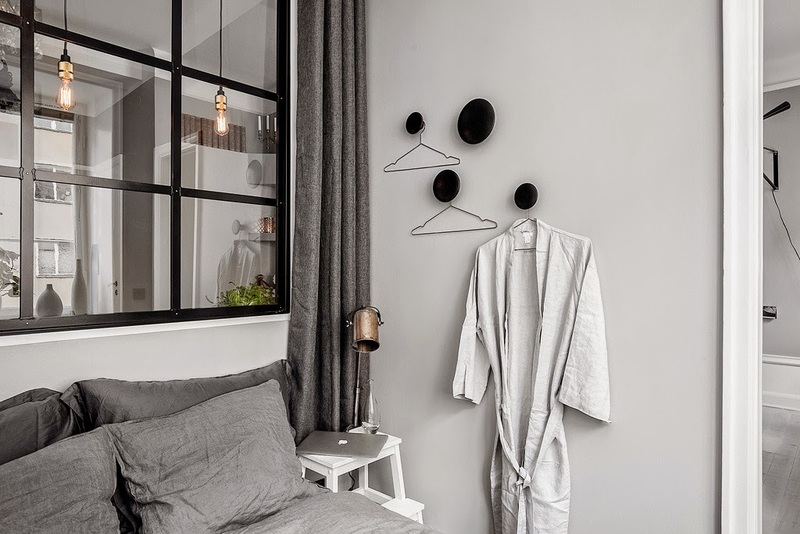 Dark grey bedding, black Muuto dot coat hooks. 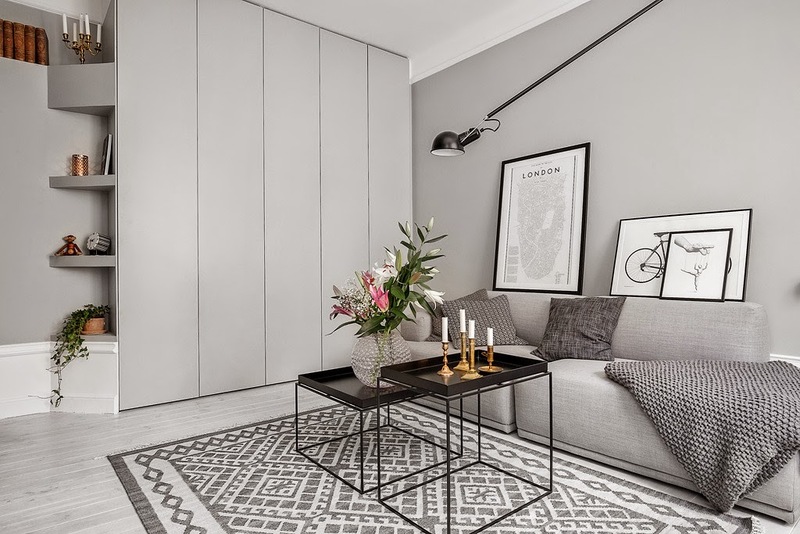 Small space take-aways from this apartment: The same task light can be used for the sitting area and the dining area since it can be easily be swung round. The dining table is extendable for when they have guests. The coffee tables can also be used as side tables. Closed cupboard doors means the space looks less cluttered. 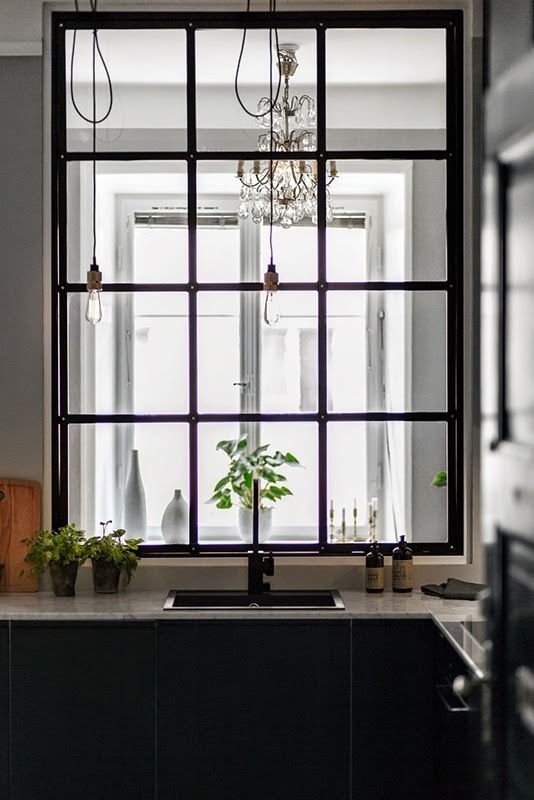 The use of windows instead of doors to divide rooms means that light still filters through. a curtain in the bedroom can be drawn across for privacy / hide an unmade bed! 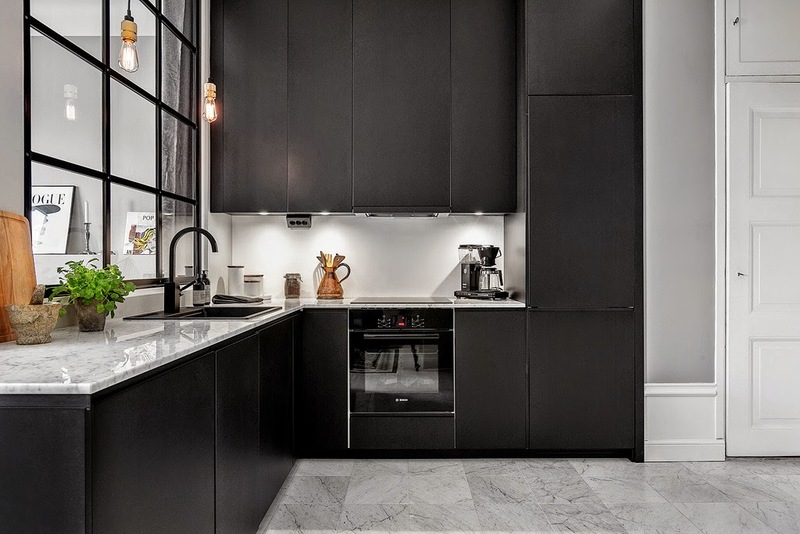 The same colour theme throughout (greys and brass) give the space coherence, Anything else you notice? 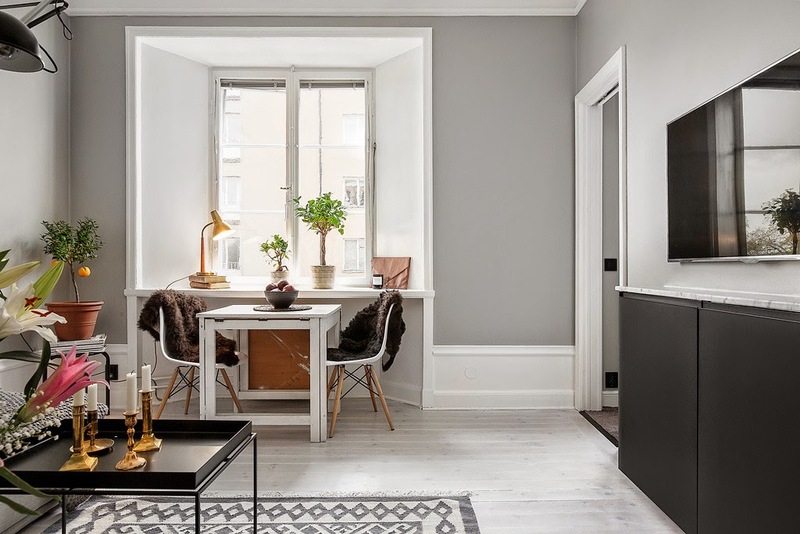 What do you think of grey?